Sway Bar Stabilizer Links – Side Hole, Aftermarket Bars (BMW 2002). 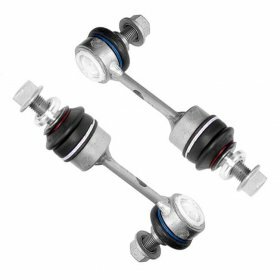 These modified OEM sway bar links for BMW 2002 may be used in either the front or rear locations. They are specifically designed to be used with aftermarket sway bars utilizing side holes only. Set of two.